Taking inspiration from Clarissa Pinkola Estés, Anais Nin and other totemic female writers, we’ll explore feminine archetypes beyond daughter / mother / sister / wife / lover. Together we will name and claim parts of ourselves through the power of putting pen to paper and storytelling. 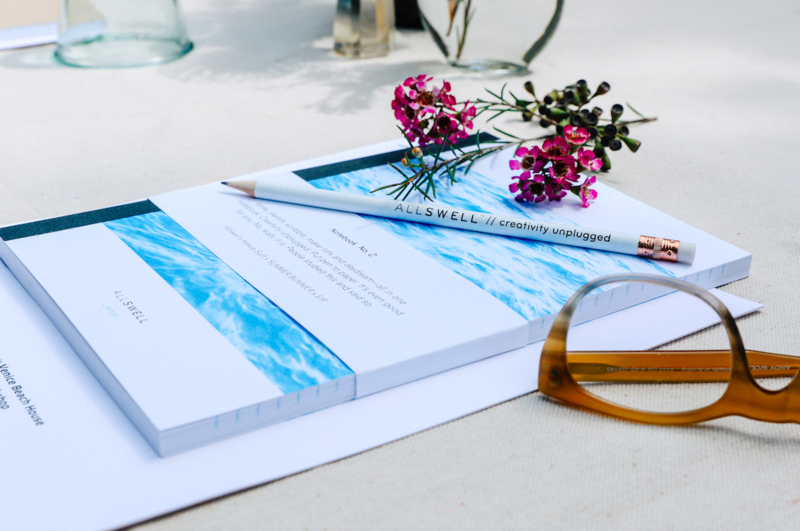 AllSwell founder Laura Rubin will help us tap into our creative flow-state through writing-based exercises and provide the tools to establish (or deepen) a regular journaling practice. Sadie Adams of Take Care will guide complementary meditations to increase our sensory awareness while Kassidi Batt of Coco La Vie helps us tune into our natural rhythms and honor our feminine intuition. $80* includes an AllSwell notebook, writing tools, wine and light snacks as well as non-toxic products from Coco La Vie (a jar of their signature luxury oil), Take Care (a hydrating Levity facial mist) and Torii Labs (wildcrafted plant-based elixers) to take home. Sorry, dudes. This event is just for the ladies.